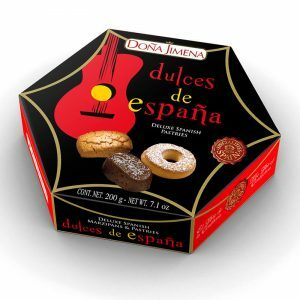 A selection of individually-wrapped biscuits and pastries in a traditional Flamenco-style hexagonal box. 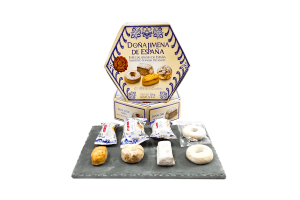 There are three types of biscuits: Spanish shortbread biscuits, anise ring biscuits and Polvoron de Chocolate (chocolate flavoured soft almond biscuits), 10 pieces per box. 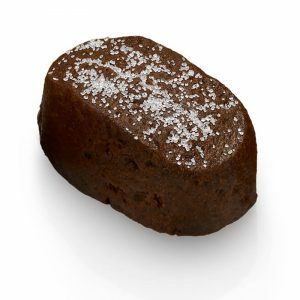 INGREDIENTS: Wheat flour, animal fat (refined butter with antioxidants: ascorbyl palmitate, natural extracts rich in tocopherol and propyl gallate), sugar, almond, cocoa powder, egg yolk powder, flavourings, cinnamon powder and salt. 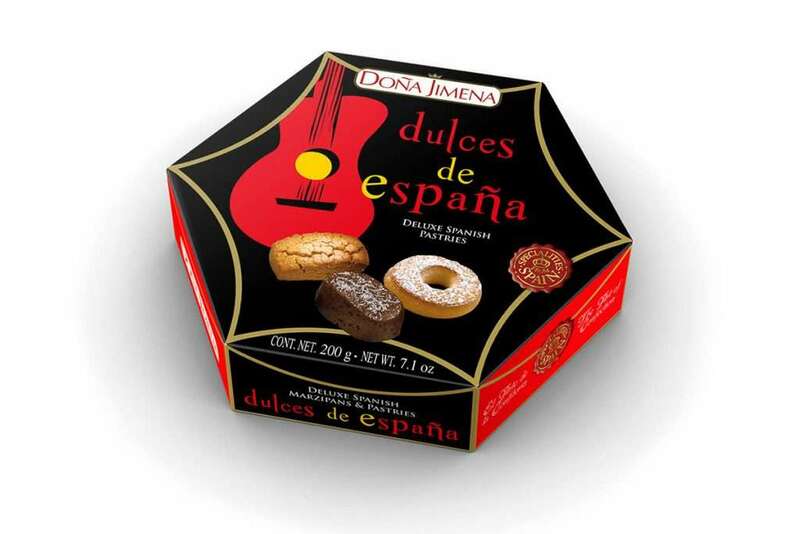 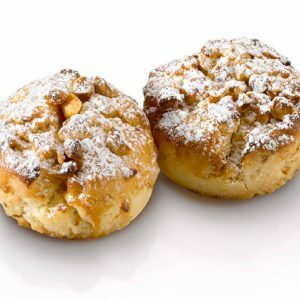 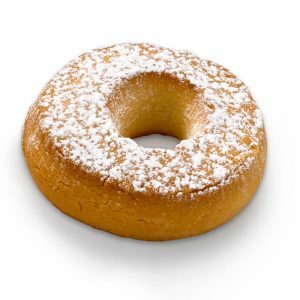 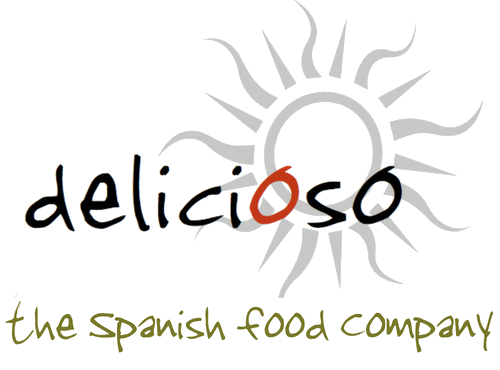 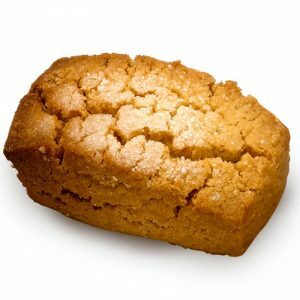 ALLERGENS: Contains almonds (nuts), egg and wheat (gluten).